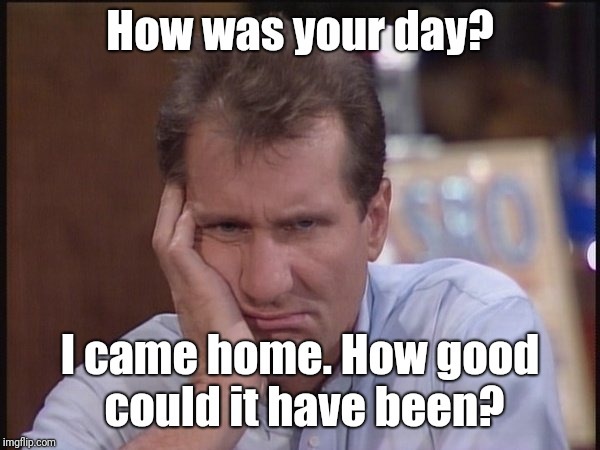 How was your day? I came home. How good could it have been?